Preliminary ProceduresRaise the vehicle by its full height. Refer toLifting and Jacking the Vehicle.Draining the cooling system. 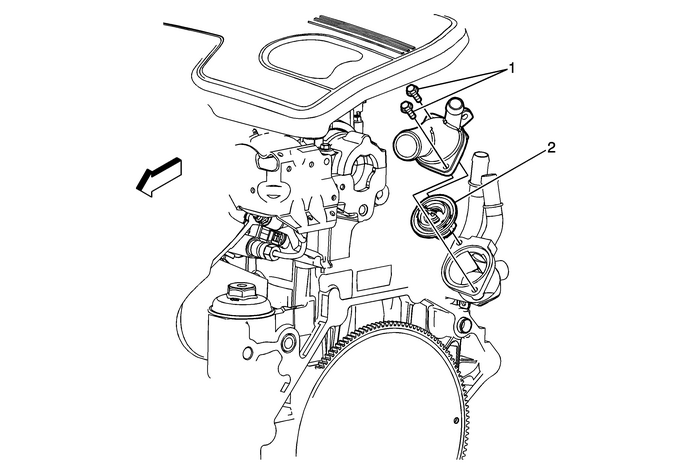 Refer toCooling System Draining and Filling.Disconnect the engine coolant outlet hose and the radiator surge tank outlet hose,from the thermostat housing. Note:Loosen the drain bolt at the bottom of the water pump and drain the coolant from theengine block.